Audrey Elizabeth McCain of Harbinger was born on Feb. 21, 1937, in Richmond, Virginia to Fransis and Franses Brizendine. She passed away on Nov. 3, 2018 after a short illness. Preceded in death by her husband Joseph McCain, parents Francis (Pinkey) Brizendine and Franses Brizendine, brother Mallory Brizendine, son Gary Mustin, and step-son Jerry McCain. She is survived by her son Greg Mustin, daughters, Judy Walker, Janet Jenkins, Sharon Monson, Jackie Szymanski, Sandra Lee, Karen Newbern, step-sons Joey McCain and Roger Prince, step-daughters Judy McCain, Jeanie McCain, and Jackie McCain. 34 grandchildren, 51 great-grandchildren, and 1 great-great grandchild on the way. She is known as the ‘Grandma’ of the community by many she has cared for along the years. She was the community seamstress as she was a very talented lady on the sewing machine. She was also very crafty, and an excellent cook. Loving, patient, kind, forgiving, hospitable, gentle, friendly, funny, and prayerful are just a few of the many admirable characteristics she had. She will be greatly missed by all that knew her. However, she knew Jesus Christ as her Savior and was looking forward to exchanging her earthly home for her eternal home in Heaven. We know she is peacefully resting with her Lord. A service will be held on Wednesday, Nov. 7 at 11:00 AM. at Grandy Community Church, 121 Augusta Drive, Grandy NC. The viewing will be from 10:00 to 10:45 and the service will begin at 11:00. Burial will follow at the Powells Point Baptist Church cemetery with fellowship in the fellowship hall afterwards. 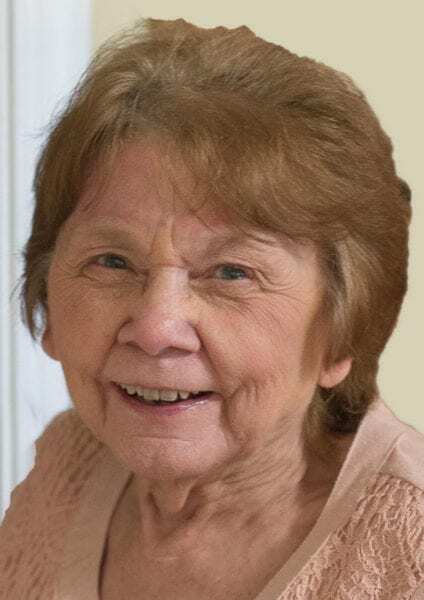 Hilda Irene Mann Midgett, 91, of Manteo, NC died Tuesday, April 9, 2019, at Chesapeake Regional Medical Center. A native of Dare County, she was born November 18, 1927, to the late Emma Pugh and Cecil Mann. Eventually Sheila returned to Raleigh where she lived and worked with her friends and her loyal service dog, Ginnie. Sheila was an active member of Avent Ferry United Methodist Church where she enjoyed singing in the church choir. Originally from the Raleigh County West Virginia area, Robert was an experienced and dependable property manager. Locally he was employed with Barrier Island for many years.